Dominate the Internet through an influential Social Media platform. Social Media Marketing outlets such as Google+, Facebook, Twitter, Pinterest and Linkedin are swiftly becoming the most powerful tools to market your company online. Swoboda Marketing offers social media consulting for your Company. We build your online platform from the ground up. Our team of designers custom-create a unique brand page on each and every outlet of your choosing. Although we recommend leveraging social media across the board, we provide customized packages based on the level of your desired involvement and budget constraints. We educate your team on how to utilize each site and how to effectively speak to and sign up potential clients. Swoboda Marketing also offers social media management for any account that your brand chooses to operate. We come on board as your social media marketing team—creating posts, interacting with potential clients, building a tailored strategy and delivering results. As each platform develops its own culture, it takes a dedicated expert in the field to be able to know the different audiences and to appropriately cater to their interests. The power and reach of social media is growing exponentially. If your Company doesn’t have a Facebook page or Google+ following, you are falling far behind your competitors. Your competitors understand that leveraging social media improves customer service/retention and lead generation. Social Media is a strong promotional tool that should be integral to your internet marketing efforts. We offer comprehensive monthly Social Media Management plans. Google has stated their Google+ pages will soon play an important role in search engine placement. If you aren’t building your Google+ page you are missing out on HUGE future ranking opportunities. It won’t be solely Google+ playing a huge role in your search engine results page, don’t forget three others: LinkedIn, Facebook and Twitter. With your social media platforms established, your customers will have the ability to follow important events at your Company and allow your Company to increase your web traffic using the power of social media. When your Company is up to speed in the social media world it demonstrates to your customers that you are “with the times” , “current” and “in the now.” We will help you develop these profiles and increase your Company’s rankings. Seeing the positive comments from your customers will give your Company a boost, and negative comments will offer your company the ability to understand problems early and identify ways to better improve your services moving forward. Your competitors may not realize the advantages of a competent social media marketing strategy. Their decision not to participate may be based on lack of an immediate financial impact. Becoming a leader in a social media marketing strategy will increase positive exposure for your Company both now and into the future. Social media is a long-term commitment which must be implemented properly to be effective. Social media platforms offer your Company a new customer service outlet and will dramatically reduce marketing costs if used correctly. Let us show you how to take advantage of all the social media benefits available. Our proven campaigns are designed to drive traffic, improve website rankings and enhance your overall online presence. 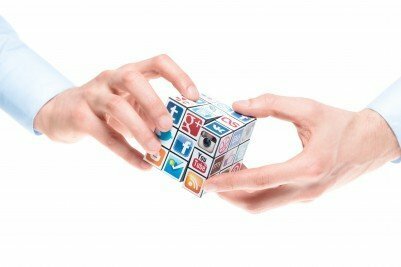 Leveraging your social media profiles in your marketing mix is becoming ever more crucial in this day and age. Millions of consumers are spending many hours daily on these sites for news, promotions, reviews and more. The value of brand awareness through social media has allowed these sites to offer prime real estate for brands looking to connect to customers.